Carefree will describe your days at this 2 bedroom condo.Just steps to Main St, pier and shops. Pale banana yellow happy interior with coastal and primary color accents let you know you've left work and worries at home.Bright and airy living, dining and kitchen area, with a rocking chair porch on front will let you spread out. 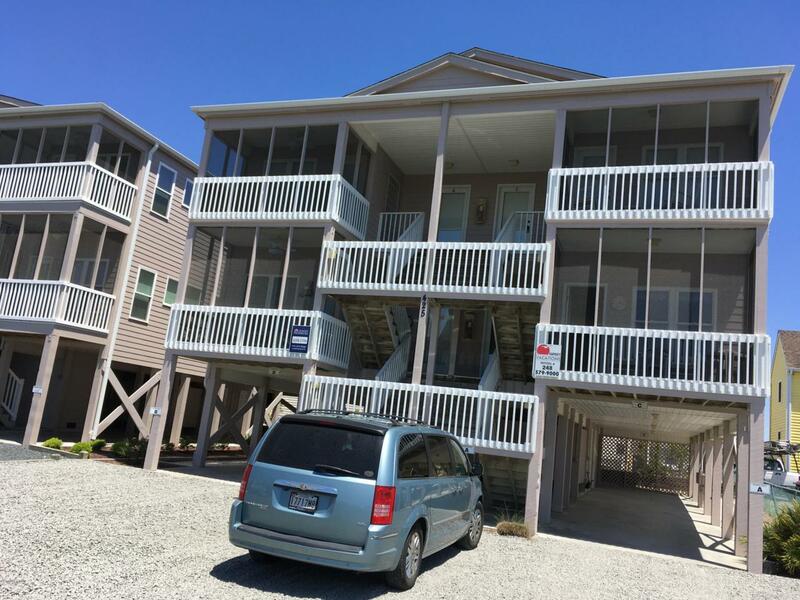 Two spacious bedrooms and 2 baths.Totally furnished and equipped and downstairs closet roomy enough for all your beach toys too.